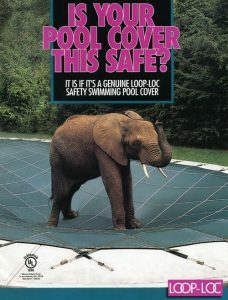 We sell and install Loop-Loc Safety Covers for use with wooden or concrete decks. 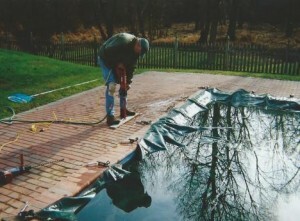 Thanks you so much for the excellent work you did on our pool. You were such a pleasure to work with. We especially appreciated that you always returned our phone calls quickly when we had questions. 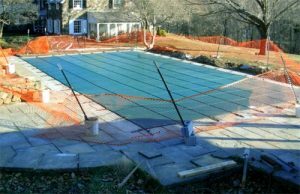 The pool looks absolutely beautiful and we’ve received many compliments about it. – – – H.S. and I.S. 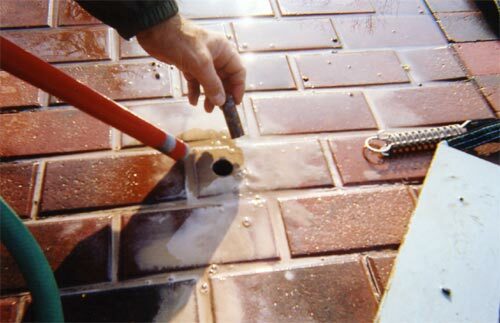 We core drill wet through patio stones to avoid vibrations (which push the stone out of position), cracking and blowouts. 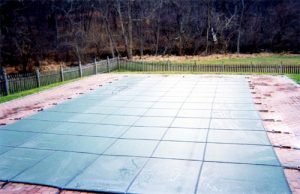 Typical application for a free form pool with a concrete deck. Recessed wood deck, not a problem. 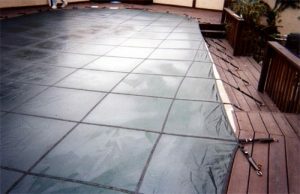 Flagstone deck, trickier but still another good job. 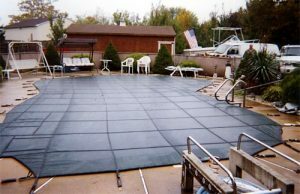 The cover is in alignment with the pool, over lap is equal distant, straps run straight and no wrinkles in the cover. Delaware or Chester County, PA or Cecil County, MD.